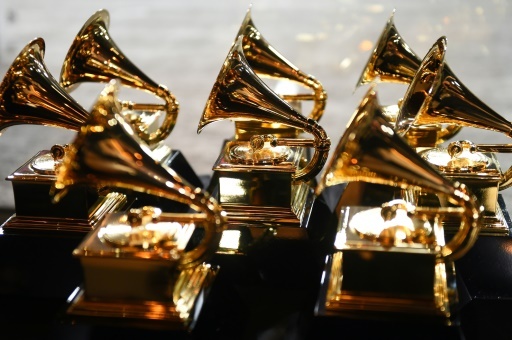 Voici les nominations dans les principales catégories des Grammy Awards, les récompenses de la musique américaine, décernés dimanche à Los Angeles. Le rappeur Kendrick Lamar, huit fois cité, est en tête des nominations devant une autre star du hip-hop, le Canadien Drake (sept nominations). Pour les artistes féminines c'est la chanteuse folk-rock Brandi Carlile qui arrive en tête (six nominations). Cardi B, "Invasion of Privacy"
Brandi Carlile, "By The Way, I Forgive You"
Post Malone, "Beerbongs & Bentleys"
Various Artists, "Black Panther: The Album, Music From and Inspired By"
Post Malone featuring 21 Savage, "Rockstar"
Zedd, Maren Morris & Grey, "The Middle"
Ella Mai avec Larrance Dopson, Joelle James et Dijon McFarlane, "Boo'd Up"
Drake avec Daveon Jackson, Brock Korsan, Ron LaTour, Matthew Samuels et Noah Shebib, "God's Plan"
Shawn Mendes avec Teddy Geiger, Scott Harris et Geoffrey Warburton, "In My Blood"
Brandi Carlile avec Dave Cobb, Phil Hanseroth et Tim Hanseroth, "The Joke"
Zedd and Grey, avec Sarah Aarons, Jordan K. Johnson, Stefan Johnson et Marcus Lomax, "The Middle"
Lady Gaga avec Mark Ronson, Anthony Rossomando et Andrew Wyatt, "Shallow"
Donald Glover (Childish Gambino) et Ludwig Goransson, "This Is America"
Joyner Lucas, "I'm Not Racist"
Alice in Chains, "Rainier Fog"
Greta Van Fleet, "From the Fires"
Kelly Clarkson, "Meaning of Life"
Arctic Monkeys, "Tranquility Base Hotel + Casino"
Seun Kuti & Egypt 80, "Black Times"
Yiddish Glory, "The Lost Songs of World War II"